This basketball article presents a guide for serious college-bound basketball players and their parents. The motivation for this article came from Albert Maruggi, who has published an excellent, informative series of YouTube videos entitled "The Road to Personal Best". Being a parent of a player, Albert shares with players and their parents and coaches, his experience and what it takes to become a college level player these days. I highly recommend this video series for all serious-minded players and their parents. It really delves into what's involved in getting to that next level. I'll discuss a few points here, but you really must view the videos. So only the very elite players move on to the collegiate level. But to get to that level players must have a strong commitment, dedication and discipline and be willing to put in the time and effort that's needed. They must develop good work habits and become excellent student athletes. College teams nowadays don't want to waste time with a player who can't make his grades. Parents and the family must be onboard as they will have to sacrifice much time and some money to support the player's dream. Play multiple sports or just basketball? The videos get into all of these aspects in detail, as well as the AAU experience and what's involved. AAU play pits players against other excellent, very competitive players... so players find out whether they can compete at that level and what their weaknesses are. Practices, weekend travel, spring and summer ball all affect the family schedule. Their are financial costs. Fatigue, "burn-out" and injuries are all important considerations. But AAU players learn how to "play the game" and compete. On-court, team skills are developed, which is something you can't get from a personal skills trainer. AAU players develop the mental toughness required to play against the best players, in unfamiliar surroundings, the physicality involved, and over-coming fatigue (multiple games in one day). AAU events are often attended by college scouts. But AAU coaches usually don't have the practice time available for teaching individual skills. So you may also need a personal skills trainer as well as a strength and agility trainer. But how do your work all of these things into your schedule? The video discusses this for both junior high and high school level players. Player skills workouts and trainers are presented, as well as strength and agility training. 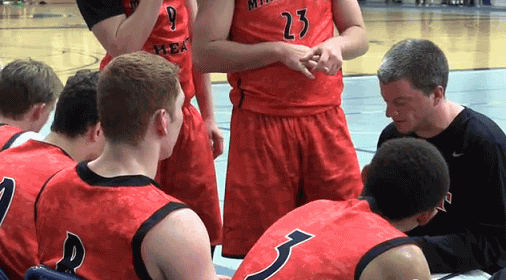 The videos discuss in detail how to choose an AAU team. Find an AAU coach/program that shares your views, that you can personally relate to. What is their style of play - fast, slow, etc? Play for a team that both challenges you and affords you ample playing time. Know their season plan... how many practices, how many weekend tournaments, costs, etc? Are we talking about local, regional or interstate travel and games? At what age should kids start weight and agility training? A brief word on weight and agility training... both are very important. College freshman are often red-shirted because they simply are not physically strong enough to play with 22 year old men. So weight training is a must for the college-bound player. Agility training is important in developing first step quickness, body control and footwork, and vertical jumping. Junior high players should be working on ball-handling, shooting, shooting on the move, dribble moves, post moves, rebounding, etc. Not all young kids are ready for weight lifting, but they certainly can start doing simple push-ups, pull-ups ("chinning"), vertical jumping drills, and jumping rope. This article has outlined just some of the things presented in this excellent video series. So let's go to the videos now. There are currently three videos, but eventually will be six, so stay tuned!